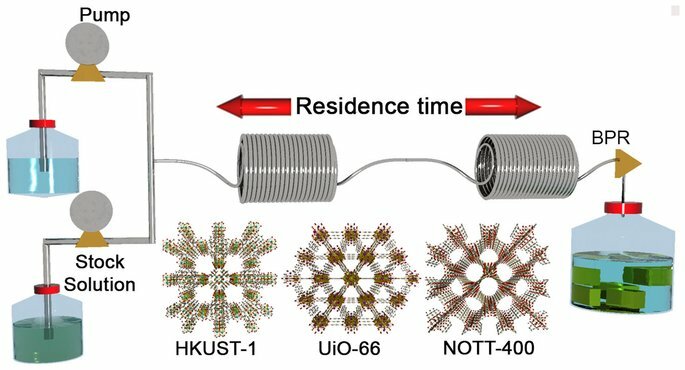 Further deployment of Metal-Organic Frameworks in applied settings requires their ready preparation at scale. 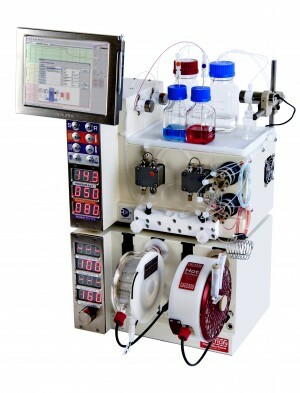 Expansion of typical batch processes can lead to unsuccessful or low quality synthesis for some systems. Here we report how continuous flow chemistry can be adapted as a versatile route to a range of MOFs, by emulating conditions of lab-scale batch synthesis. 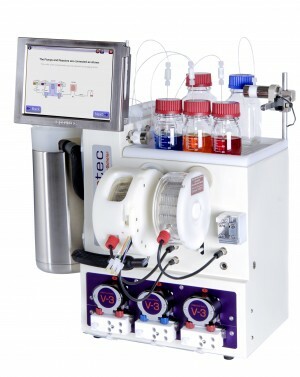 This delivers ready synthesis of three different MOFs, with surface areas that closely match theoretical maxima, with production rates of 60 g/h at extremely high space-time yields.